The Most Rev. 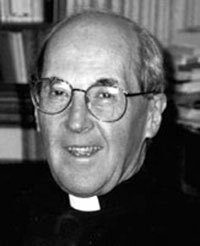 Basil Meeking, Bishop Emeritus of Christchurch, New Zealand, was born in New Zealand and was ordained a priest of the Diocese of Christchurch in 1953. After obtaining a doctorate in theology at the University of St Thomas in Rome and some years of pastoral work in New Zealand, he was for eighteen years an official and undersecretary of the Pontifical Council for Promoting Christian Unity in Rome. Then, for ten years he was Bishop of Christchurch and after retirement was chaplain to the Sisters of St. Mary of Oregon; more recently he has been special assistant to Cardinal George of Chicago. This past year he retired again to New Zealand.